When it comes to getting the best rest possible, a decent pillow is just as important as a good mattress. But are you doing it all wrong? If you are stacking pillows to get comfortable, you are probably not using the right pillow for your sleep position. Keep reading to find out how you can fix this common problem. Why Use Only One Pillow? What About Back Pain Sufferers? Are you stumped about how many pillows you should use if you want to get the best rest possible? Do you sleep with a couple of pillows and want to know if it’s good for you or not? If so, this guide should be helpful. 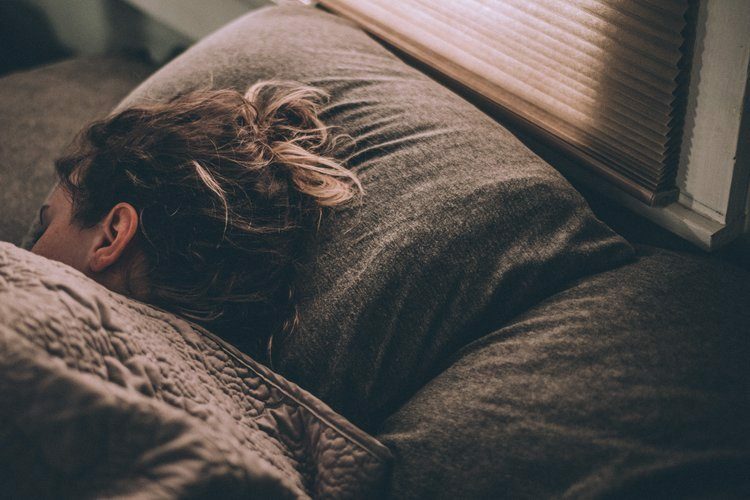 The number of pillows you use doesn’t seem like that big of a deal, but what if it has more of an impact on your sleep health than you thought? There are a number of factors that impact the number and type of pillows you should use when you sleep, such as the type of mattress you use, your preferred sleep position and body type. While some people sleep with multiple pillows, it should only take one pillow to give you the support you need for quality rest. Choosing a pillow that keeps your spine and neck comfortable and neutral should be the ultimate goal. But with so many types of pillows available, how can you know which type is best for you? One indication is the way you feel when you wake up. Do you have soreness or stiffness in your neck or back when you get up in the morning? If you do, you may be using the wrong pillow type or too many pillows. Another factor to consider is pillow material. If you use a supportive enough material for your sleep position, you should only require one pillow instead of two or more. Down pillows are a classic choice, but will they provide you with enough support in addition to comfort? Other options, such as memory foam pillows, are also popular, as they provide cradling pressure relief and allow your muscles to fully relax. While you’re pillow shopping, you may also come across “adjustable” options, which allow you to add or remove filling to create a customized level of firmness. There are also cooling pillow options on the market, like gel pillows. When it comes to choosing something as personal as a pillow, there isn’t one option that will work for everyone. While comfort is an essential factor you should consider, the way you sleep also matters. For example, back sleepers need an option that will hold their head up enough to prevent an unnatural bend in the neck. Stomach sleepers should use a very low profile or soft pillow that doesn’t cause their head to point upward too much. And side sleepers need an option that will fill the space between their shoulder and ear. Let’s take a look at some of the best pillows out there according to sleep position. Back sleepers should select a high loft (meaning a lot of filling) pillow with a firmer design. It should also be a conforming material that will contour to the neck and head for customized support. 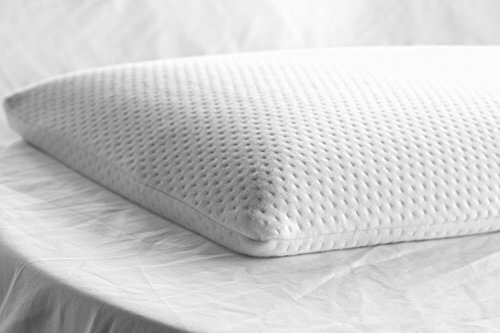 The Coop Home Goods Adjustable Memory Foam Pillow allows you to add or remove filling to create a custom level of firmness. While the Coop Home Goods Adjustable Pillow is a good option for any sleep position, back sleepers should find it especially supportive due to its conforming abilities. This pillow uses shredded foam instead of a solid slab of memory foam. Shredded foam is softer and easier to mold than a single piece of memory foam. While memory foam can sleep hot because it retains heat, shredded foam promotes airflow and helps you rest at a comfortable sleep temperature. Caring for this pillow is easy and it can be machine washed. Most side sleepers will feel comfortable using a pillow that contours to their neck and head to promote spinal alignment. Down, synthetic down, and shredded foam are all good options, while less conforming options, like solid memory foam or latex, should be avoided. 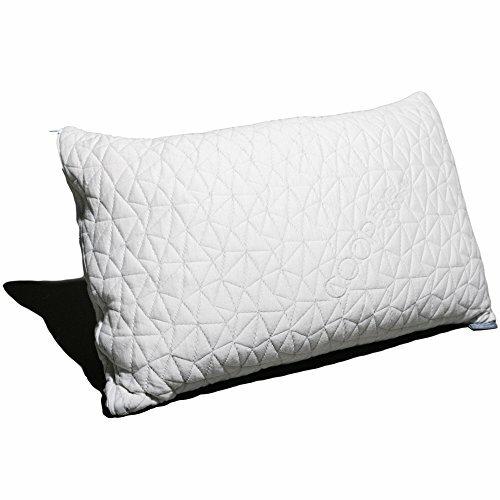 The Utopia Bedding Gusseted Quilted Pillow molds to your neck and head and creates a plush sleep surface. Since the side sleeping position requires that your pillow fills the space between your shoulder and ear for optimal alignment, this is a good feature for this type of sleeper. 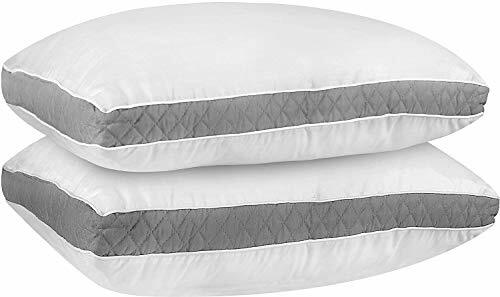 The Utopia Bedding Gusseted Quilted Pillow is a medium-firm option that uses plush fiberfill, a synthetic material that feels similar to down. Synthetic options are suitable for people who are sensitive to allergens, as this type of filling is hypoallergenic. This material is breathable and won’t overheat while you sleep, helping you stay cool and comfortable while you rest. If you buy this product, it comes with two pillows. The high thread count cover not only feels comfortable but has a durable design that should last a long time. Note that the Utopia Bedding Gusseted Quilted Pillow must be dry cleaned if you want it to last as long as possible. While stomach sleeping isn’t recommended by health professionals, some people still find it most comfortable. It can be tricky to find a pillow that doesn’t stress your neck in this position, so choosing a low-profile or soft pillow is the best option for stomach sleepers. The Elite Rest Ultra Slim Sleeper Foam Pillow is a very low profile pillow made from soft memory foam. When you use this pillow, your head will hardly be lifted off your mattress and it may not work well for sleep positions other than stomach sleeping. The Elite Rest Pillow has two sides to choose from: one curved side and one flat side. This pillow is resistant to bed bugs and anti-microbial which makes it a good option for people who are sensitive to allergens. Keep in mind that this pillow is only 2.5 inches in height and may not work well for everyone. As mentioned before, some people use two pillows when they sleep, but it’s better to only use one. When you use two pillows, it’s easier for your head and neck to rest unevenly on them as they may not stay in place well as you move around in your sleep. Using two pillows can cause your neck to bend in an unnatural direction, leading to inflammation and stiffness. Doing this habitually can lead to issues over time, as an unnatural bend in the neck can cause misalignment in your entire body. Some exceptions to the general rule of sleeping with one pillow do exist. For instance, if you have very broad shoulders, you may need two pillows to keep your head propped up if you’re a side sleeper. Also, if you use low-loft or soft pillows, you may require two to properly support your neck and head. People who suffer from back pain should choose their mattress carefully. A memory foam mattress can be a great help since it takes pressure off the body, allowing your muscles to relax and recover while you rest. Back sleepers may also benefit from sleeping with a pillow under their knees in addition to under their head. The healthiest sleep position for you will be one that keeps your spine in a neutral position. Having improper sleep posture can lead to health issues like headaches, fatigue, or neck and hip pain. Choose the right type of pillow for you and try to use only one pillow for optimal sleep health. 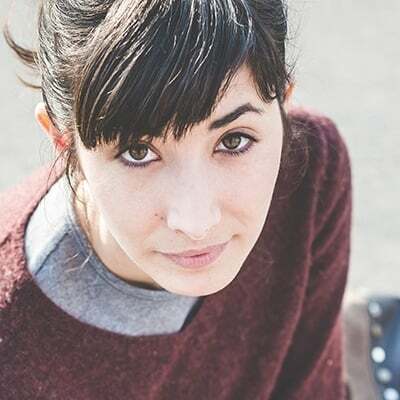 PrevPreviousBedInABox Buyer’s Guide 2019: Which Of These Memory Foam Mattresses Is Right For You?